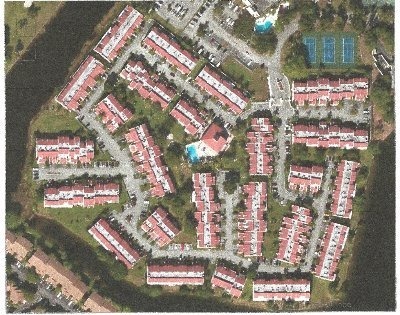 The Courts of Inverrary is a community of 214 townhouses located in Lauderhill, Florida. We are one of thirty-three developments in Inverrary with our own governance and an additional affiliation with a master association that insures controls on development around us and also continuously provides beautiful landscaping for the whole area. This includes a Disney designed water fall that serves as an entry to Inverrarry. Though we date back to 1974 to the days when entertainer Jackie Gleason had a home here, we have maintained our community and made many improvements along the way. We are more than "good as new." 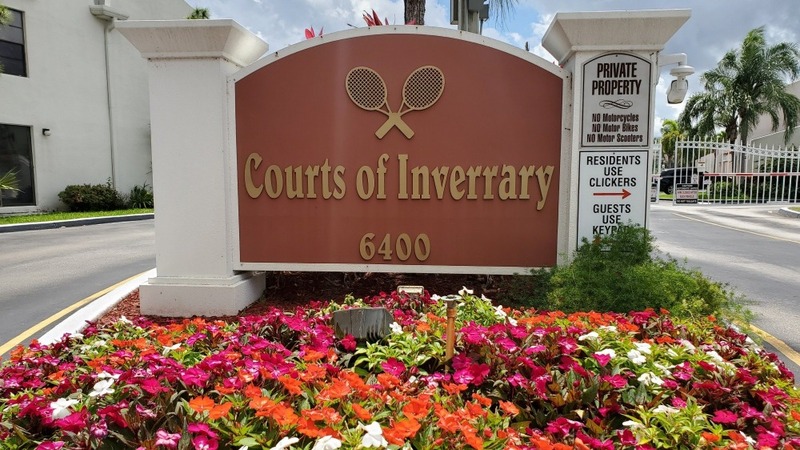 The Courts is a hidden enclave within Inverrary. 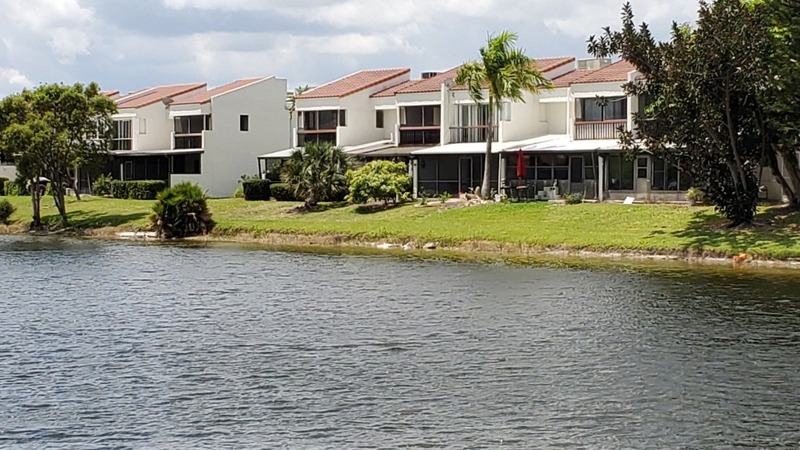 Like the whole state of Florida, we are on a peninsula--surrounded by water on three sides, including a lake and a major canal. 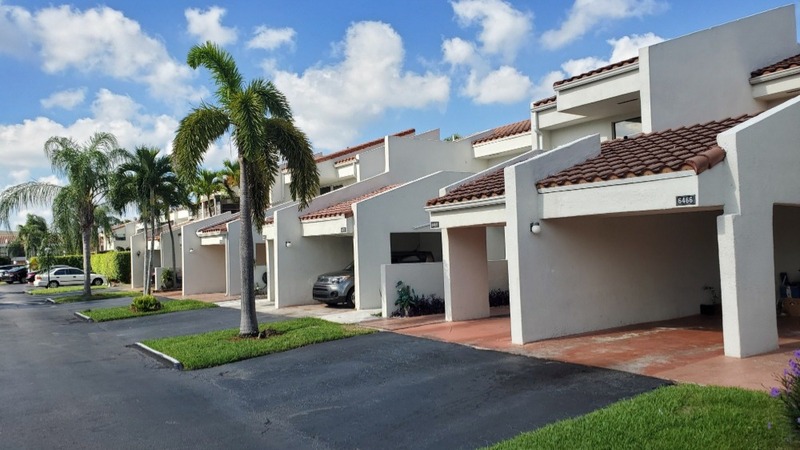 We are a gated community with the latest technology for entrance and exit, including not only gates, but for added security, LED lighted barrier arms and LED lighted globes throughout the complex. The Courts is operated by a professional management company that provides administrative service, landscaping, maintenance personnel, pool service, and exterior pest control. For convenience, on-site service is available at the clubhouse twice weekly on Wednesdays from 6:00 to 8:00 P.M. and on Saturdays from 10:00 A.M. to Noon.